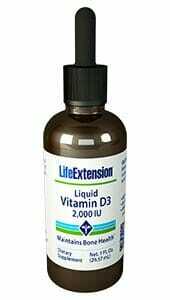 Along with supporting the immune system, bone density, healthy cell division, and other age related issues, Life Extension Liquid Vitamin D3 may also provide support for low birth weight and daytime sleepiness. Available in mint flavor to improve taste. Earn up to 21 DR Reward Points. Life Extension recommends that healthy adults supplement each day with at least 2,000 IU of vitamin D3. Elderly adults may benefit from higher doses such as 5,000 IU daily up to 10,000 IU daily. The objective of taking a vitamin D3 supplement is to achieve an optimal 25-hydroxy vitamin D blood level of 50 ng/mL (and higher). Life Extension’s analysis of over 13,000 vitamin D blood tests reveals that the minimum intake for most aging people should be around 7,000 IU a day. Some individuals (such as those weighing over 180 pounds) may require a higher potency of vitamin D.
Provides support for the immune system, bone density, healthy cell division, and other age related issues. 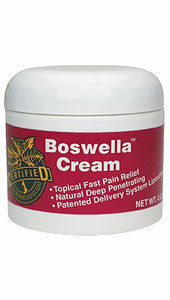 May also provide support for low birth weight and daytime sleepiness. One of the highest quality Vitamin D formulations on the market. Vitamin D3 (Cholecalciferol) is widely considered to be the superior form for supplementation. Available in refreshing mint, or unflavored. Vitamin D has long provided significant support for healthy bone density.72-77 However, scientists have also validated the critical role that vitamin D plays in regulating healthy cell division and differentiation, and its profound effects on human immunity.78-81 These findings link a deficiency of vitamin D to a host of common age-related problems. The current RDA is only 600 IU. As a result of startling evidence of a widespread vitamin D deficiency, prominent nutritional scientists are calling on Americans to increase their vitamin D intake to 1,000 IU per day and higher. Currently, most experts in the field believe that intakes of between 1,000 and 10,000 IU for adults will lead to serum 25(OH)D levels above those indicative of vitamin D deficient levels, at approximately 80 nmol/L or 32 ng/mL. Older adults skin has a more difficult time making vitamin D from sunlight and their kidneys can’t convert vitamin D to its active form very well. Dark skinned people have skin that does not produce vitamin D from the sun easily. Overweight people have body fat that binds to the vitamin D instead of it getting into the blood. Allergy Warning: Contains tree nuts (coconut). Note: The number of drops may vary based on temperature and altitude. Caution: Individuals consuming more than 2,000 IU/day of vitamin D (from diet and supplements) should periodically obtain a serum 25-hydroxy vitamin D measurement. Do not exceed 10,000 IU per day unless recommended by your doctor. Vitamin D supplementation is not recommended for individuals with high blood calcium levels. Take one drop daily with food, or as recommended by a healthcare practitioner. 70. Photochem Photobiol. 2007 Mar-Apr;83(2):459-63. 71. Epidemiol Infect. 2006 Dec;134(6):1129-40. 72. Rev Rhum Engl Ed. 1996 Feb;63(2):135-40. 73. Proc Nutr Soc. 2001 May;60(2):283-9. 74. J Bone Miner Res. 2003 Jul;18(7):1217-26. 75. Proc Natl Acad Sci USA. 2002 Oct 15;99(21):13487-91. 79. J Immunol. 1986 Apr 15;136(8):2734-40.